347 This is Saturday, May 16. 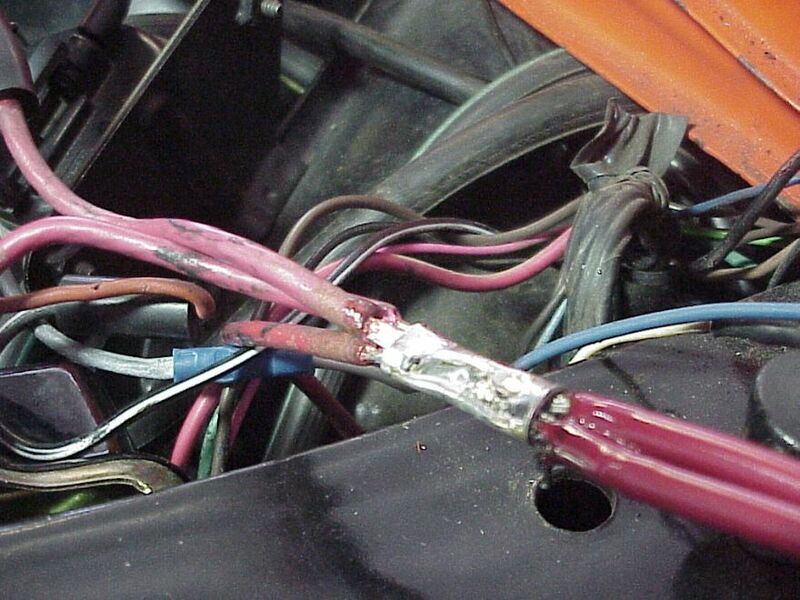 The new wires are on the right. This is how the factory wired it. 3 cables into two. After this, comes the harness building.